Vivek gomber talks to Suchin Mehrotra ahead of the world premiere of Rohena Gera’s Sir which was selected at the International Critics’ week at the Cannes Film Festival this year. Vivek Gomber has had something of a curious trajectory. He juggles two hats simultaneously, that of an actor and a producer. He is best known for acting in and producing Chaitanya Tamhane’s Court (2014) – a film that set the global festival circuit on fire and won enviable accolades at festivals around the world. It had its World Premiere at the 71st Venice International Film Festival where it won the Orizzonti Award for Best Film and the Luigi De Laurentiis award for Best First Feature (also known as the Lion of the Future). Closer home, the film also bagged Best Film in the prestigious International Competition section at the Mumbai Film Festival. What’s more, Gomber’s tryst with international acclaim shows no signs of slowing down. Earlier this year, his second film as a producer – Balekempa, directed by Ere Gowda, writer of the highly celebrated Thithi – was in competition in the Bright Futures section at the Rotterdam Film Festival where it went on to win the coveted FIPRESCI award. Months later, Gomber is once again in the spotlight, this time strictly in the capacity of an actor in Rohena Gera’s Sir which had its World Premiere earlier this week at the International Critics’ Week at this year’s Cannes Film Festival. 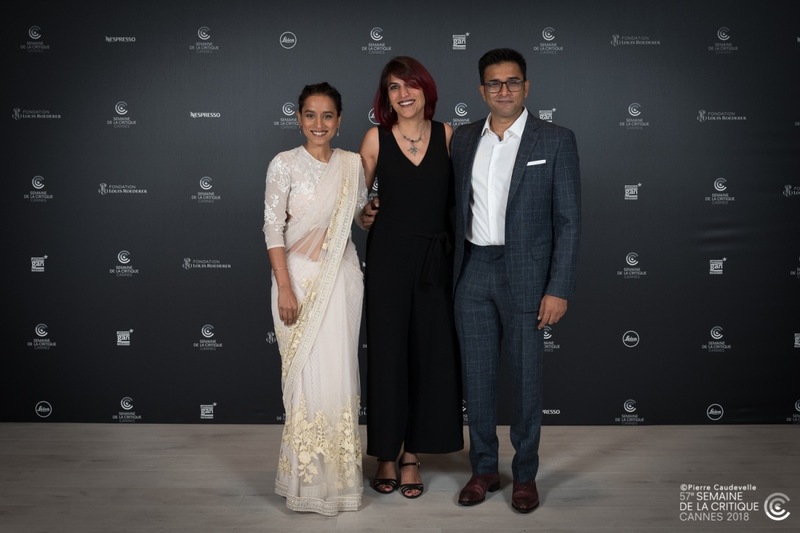 The film – which stars Gomber and Tillotama Shome in the lead roles – picked up the Gan Foundation Award for Distribution at the festival. Exploring the relationship between a rich man and his maid, it opened to glowing reviews and is one of the only two Indian films selected at Cannes this year alongside Nandita Das’ Manto which screened in the Un Certain Regard section. And yet, despite the dizzying success of Court and the accolades of both Balekempa and Sir, Gomber seems to be someone with his feet firmly on the ground. Over a phone call 3 days before the premiere of Sir, Gomber spoke to me about the unique challenges and unlikely advantages of being both actor and producer, the impermanence of the film industry and the importance of platforms like Cannes in championing Independent cinema. The majority of the month-long shoot of Sir involved just you and Tillotama Shome being confined to a room with shoot schedules of 14-hour days. It must have been a pretty unique and challenging experience as an actor. Could you tell us how you approached it? The majority of the work did happen in an apartment which was my character’s house and so it could have been challenging, but I know Tillotama and she is such a professional actor so it wasn’t much of a challenge because we had a distinct comfort level. She likes my work and I like her work and that makes it a lot easier. It was also a lot to do with discipline. Rohena was also very kind about what she wanted and very open about what she didn’t. There’s also no ego with Tillotama, even though she would be considered a more senior actor and more known than me. I would give a lot of credit to her for making the process comfortable and to Rohena for trusting us to do the job. We aren’t a nation that’s known for doing much to celebrate Indian films that get raved about at the global festival circuit like Court, Thithi, Chauthi Koot and many others. Do you feel that is changing? Has getting selected at film festivals like Cannes started to get more traction and recognition in India, especially by the media, than earlier? As a producer, I can tell you that yes when you have smaller budgets, don’t know what the future will entail and you can’t think about P&A (print and advertising) and releases, an international film festival is a great tool to start the conversation and generate buzz. I can’t say much about Sir because I haven’t seen the film but I know that for it to be at Cannes is amazing. It’s a great platform for Rohena as a director and the film. You want your work to be seen and appreciated and it’ll be hard for anyone even in India to ignore it because it’s an Indian film in Cannes. So I’m hoping that it’ll help the producers and Rohena and hopefully the film will be able to find its way. From what I’ve learnt, each film has its own journey and you never know what might happen. I’m also equally nervous and excited because usually as producer, I get to see a film in the various different stages of production, but here I was only an actor so I have less of an idea of what to expect. How important would you say critics are for propelling independent films? I think a good critic is always important. We should be able to have critics who can assess and judge work and look at it from an artistic perspective. Critics go to school and learn about art and culture so I think it’s always important to have knowledgeable and well-read critics. It’s also important to know we live in a free world where everyone has an opinion and so there are critics who don’t even know they are critics by which I mean the general audience today. Because of social media everybody’s a critic so you just can’t be sensitive about that, you just have to take it on the chin. I know I’ll back all my films no matter what, I really like them and I’m taking a hit to make them. So you can’t really blame people for how they feel but if you really want to do this you need to feel a dying need to make this happen. When you’re thinking like that it’s easier to deal with all the other noise. You’ve said before that your main goal when entering the industry was and still is, to be an actor, and producing is something you fell into by chance. Based on your experience, is that something you would advise aspiring actors to do? To keep an open mind towards developing projects and producing or writing rather than sticking to the conventional route of auditioning alone? I’m a little cautious about giving other people advice because I’m still learning so much myself and I’m a very young producer. Court is the only film I can say I’ve seen from the beginning to the end. Balekempa has only just begun its festival run and our third film is in pre-production, so as a producer I still have a lot to learn. I never calculated or intended to make my own film, it happened very organically with Court after which I realised the value of having another relationship with this profession and industry. I felt a little more liberated in the sense because I wasn’t just depending on an actor’s job and was able to express myself in another way. I wish I could write but I’m not a good writer, I just don’t have the discipline of a writer. I know I can act on any platform there is, but learning how to be a producer gave me the opportunity to understand that there is something else I can do but I wouldn’t want to ever give other people advice on what they should do because each person’s struggle is different. At the time, based on my background, I was in a position to be able to produce a film because in India you have to be an investing producer. I was fortunate that my parents worked so hard and they allowed me to put whatever I was able to put into Court. I think as an actor, the more skills you have, the more ways you can be involved in the conversation and be around in the industry and that’s the biggest goal. That’s what I’ve learnt the hard way. You never know in this business. If I’m just an actor who only works half the year then mentally it can be quite draining. Having other projects – whether that’s producing a film or producing a play keeps the body and the mind creatively involved. I just want to do good work and I want to work hard at it and then who knows what happens. Do you have a specific vision for your company Zoo Entertainment in terms of the kinds of projects you want to back? Zoo Entertainment is a company we set up to make Court and now Balekempa has come out of it. There’s also an untitled project which will be directed by Chaitanya Tamhane for which we’re in prep and we plan to be on floors at the end of the year. When we made the company, we wrote a bio for it which came closest to what we felt would be its spirit. It was about supporting independent, non-mainstream, non-commercial films because in order to do a commercial film you need a kind of investment and scale which I don’t have. I know there’s only a certain size of film and budget that I could even attempt to make even if I had the money because making films is such an expensive habit and the kinds of films I’ve decided to back don’t really have a clear commercial future. So it takes a toll on you especially if you’re an investing producer, so if I do take a risk I want to take risks with directors I believe in and scripts that I really want to fight for. I just know that much.